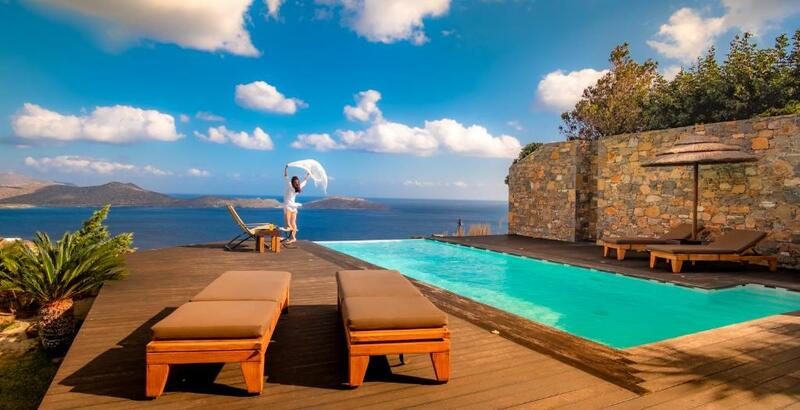 Boasting panoramic views of Mirabello Bay, an outdoor pool, Elounda Black Pearl Villa is located in Elounda. 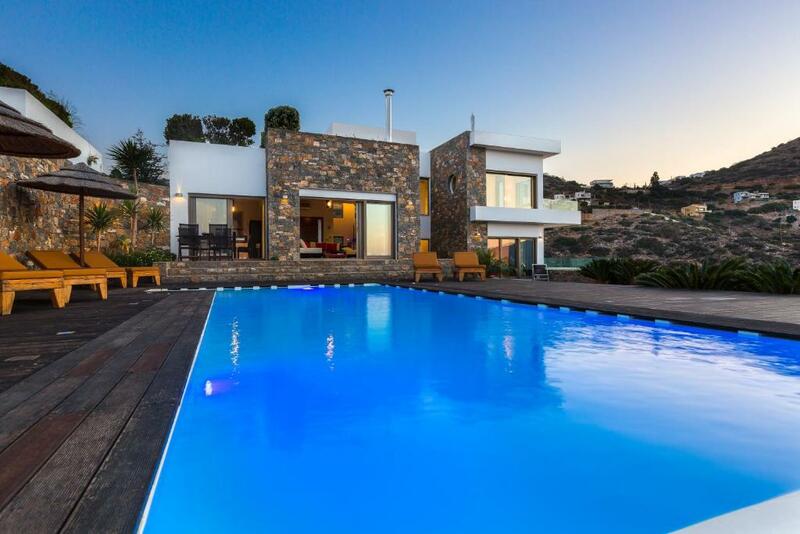 Built in stone, this villa opens out to a balcony and terrace with Cretan Sea and landscape views. Fitted with modern-style furnishings, Elounda Black Pearl Villa comes with an iPod dock and a flat-screen TV with satellite channels in the living room. It includes a fully equipped kitchen with dishwasher, microwave and spacious dining area. A washing machine is also provided. Free WiFi is available throughout. Guests can have a workout at the on-site fitness center. The surrounding garden are fitted with barbecue facilities. The proprietor can assist with boat trips and car and bicycle rentals. Agios Nikolaos Town lies within 6.2 mi and Heraklion International Airport is at a distance of 42 mi. Free private parking is possible on site. When would you like to stay at Elounda Black Pearl Villa? Boasting an outdoor pool and a hot tub, this modern-style villa comes with an iPod dock and a flat-screen TV with satellite channels in the living room. It includes a fully equipped kitchen with dishwasher and microwave. A dining table and a washing machine are equally provided. House Rules Elounda Black Pearl Villa takes special requests – add in the next step! Elounda Black Pearl Villa accepts these cards and reserves the right to temporarily hold an amount prior to arrival. We need at least 5 reviews before we can calculate a review score. If you book and review your stay, you can help Elounda Black Pearl Villa meet this goal. Nothing - except that we couldn't stay longer!